The Good Fight arrived last night, and some viewers are probably wondering if the spin-off of The Good Wife will see a second season. The creators are wondering about that too. The series launched with a special premiere on CBS with the series now becoming a CBS All Access exclusive. 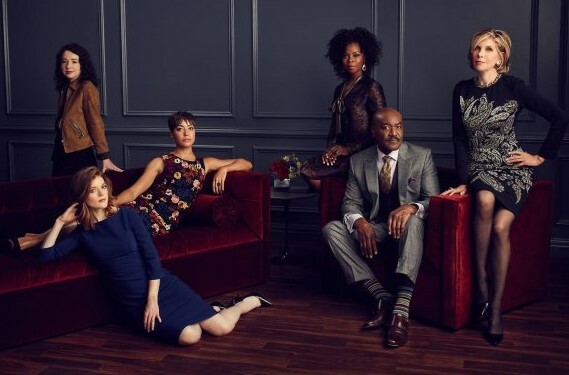 After watching the premiere of The Good Fight on CBS last night, do you want a second season? Tell us what you think. I loved the pilot of The Good Fight. I won’t watch the rest of the series, however, because I won’t pay for the CBS All Access. I already pay for Netflix, Hulu, HBO, Showtime, TMC, Cinemax, plus cable. The Good Wife was my favorite show and I was so looking forward to The Good Fight. I didn’t know it would be pay TV. Really enjoyed the first episode of The Good Fight! I sincerely hope that the powers-that-be decide to keep this series beyond its first season! I believe that CBS should listen to those of us who had to pay extra to access this quality program. That should count for something! Loved the first episode on CBS. I especially appreciate the diversity in the characters. So I told a bunch of people to watch in on demand before the next episode airs. It’s not there! The show isn’t even listed with the CBS lineup. How can the show build a following if it cannot be found??? In Canada they are showing the whole season on WTV. It’s a regular cable network. Included in your monthly provider bill. Hopefully it will stay that way. Streaming for that extra cost is like highway robbery. Sorry all of you Good Wife lovers down south. I’m giddy and happy I’m Canadian. I think it’s terrible to air the pilot on regular tv just to force folks to have to pay for CBS all access if they want to view the rest of the season. The Good Fight was excellent. I will definitely tell everyone to watch it. Loved the first episode. If it was on regular tv, I’d be a loyal watcher. But, not going to pay to see it. Cable bill already ridiculously high.